How can chain link fences be naturalized with vines? For safety and supervision reasons, childcare centers have fences along the perimeters of their outdoor learning environments. The vast majority of these fences are constructed from chain link. Although a cost effective option, chain link is not the most attractive type of fence. 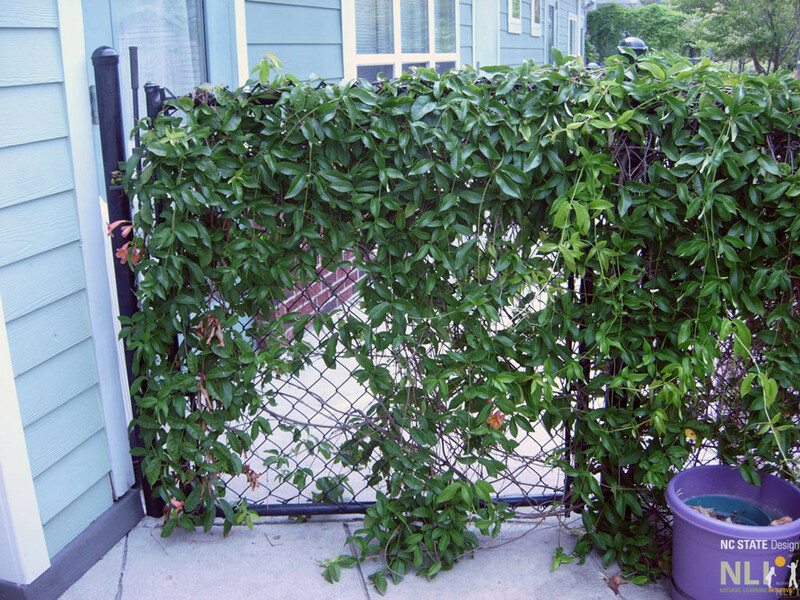 Fortunately, it is easy and inexpensive to naturalize a chain link fence with vines. Typically, hardy perennial vines (preferably evergreen) will create a permanent green fence. However; annual, food-producing vines are an option to consider in some cases. Twining (wind their stems around the fence) or have tendrils that can wrap around the fence. Space the vines along the fence based on their mature spread. For example, if the vines will spread 10 feet, plant them 10 feet apart. Plant vines against the fence to protect the plant from trampling. Sometimes it is best to plant the vines just on the other side of the fence outside the outdoor learning environment, so the roots will not get compacted by little feet. Train the vines to grow on the fence. After the vine is planted and as needed through the growing season, tie vines back to the fence to insure proper growth and even coverage of the fence – and in the case of fruiting vines, ease of harvesting. Edibles on fences. Perennial fruiting vines such as hardy kiwi or annual vegetable vines such as beans can be planted along fence lines, supported by the fence. This saves space and allows some vines to be more productive. If space allows, ground-level vegetable beds can be installed in front with the vertical garden as a backdrop. Green gates. 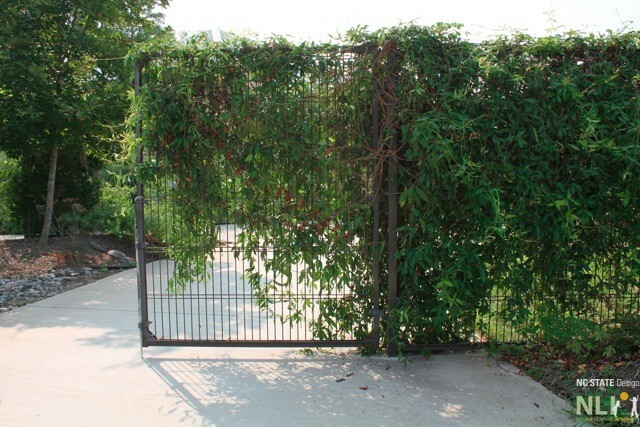 Vines can be used to naturalize chain link gates. Plant along the fence near the hinged side of the gate. As the vine grows and spreads, it can be trained across the gate. Because it is growing from the hinged side, gate use is not impeded. 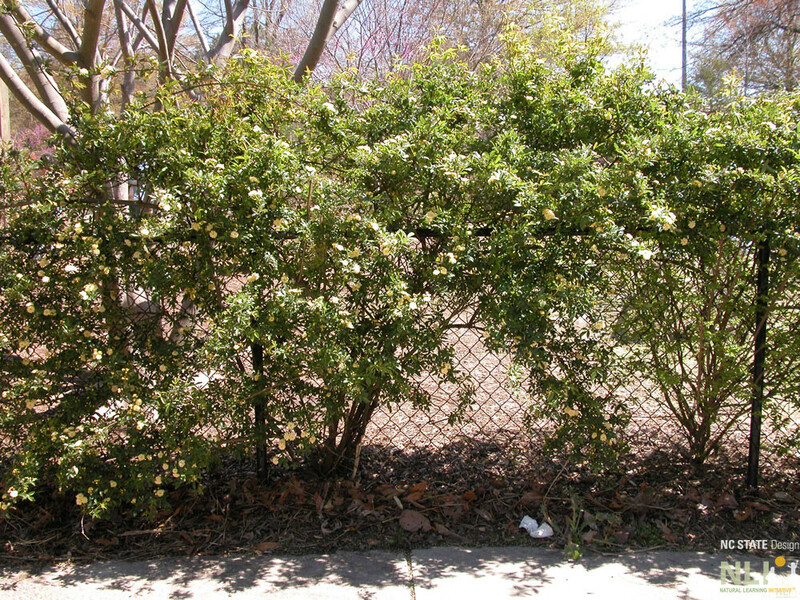 Lady banks rose (Rosa banksiae), a perennial evergreen vine, naturalizes a chain link fence at Bright Horizons at Harrison Park. Cross vine (Bignonia capreolata) and Lady banks rose (Rosa banksiae) screen a fence at Bright Horizons at Harrison Park. Cross vine (Bignonia capreolata) naturalizes a gate at Bright Horizons at Harrison Park, Cary, NC. Cross vine (Bignonia capreolata) naturalizes a gate at First Environments Early Learning Center, RTP, NC. 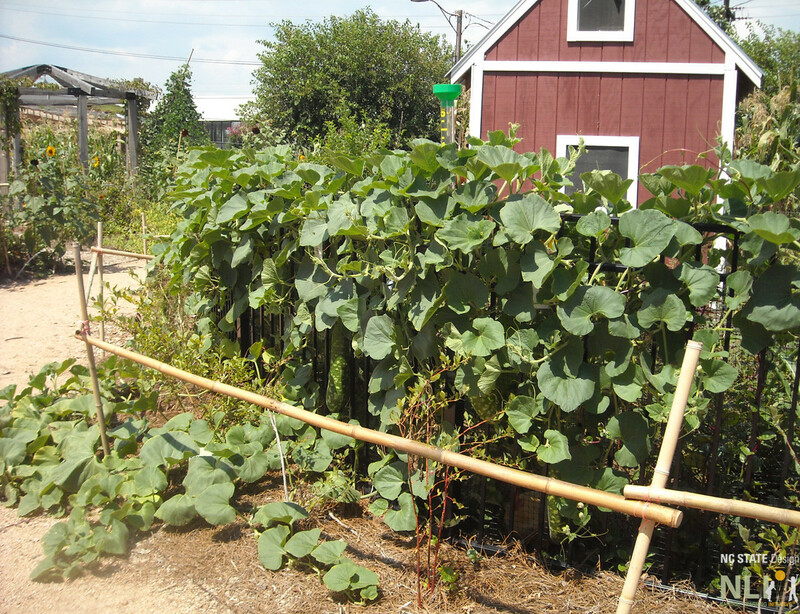 Annual gourd vines disguise a fence at the Edible Schoolyard, Greensboro Children’s Museum, Greensboro, NC. 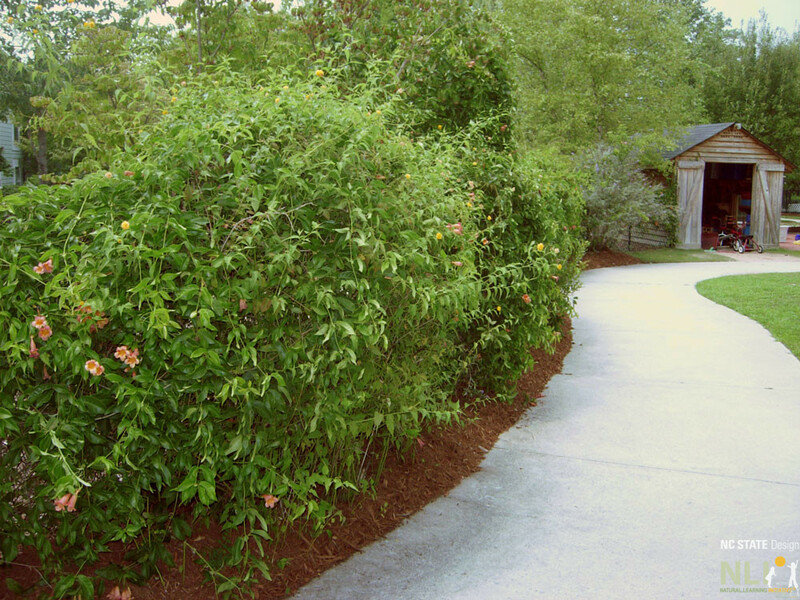 For more information about appropriate plants for children and family environments in the southeastern United States refer to NLI’s Landscape Plant List.